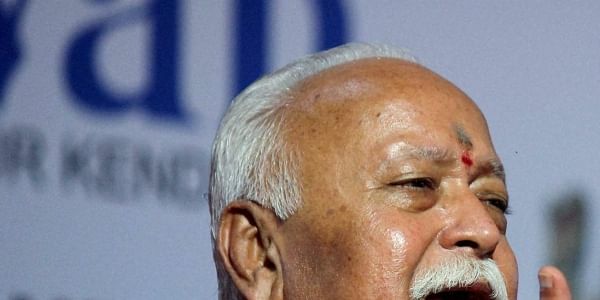 UDUPI: Brushing aside alternative proposals, RSS boss Mohan Bhagwat told a conference of Hindu religious leaders here that only a Ram temple would be built in Ayodhya and none other. The Vishwa Hindu Parishad's three-day Dharma Sansad got going here Friday with the RSS sarsanghchalak telling the gathering of 2,000 ‘saints’, heads of various Hindu religious denominations and leaders the RSS’s offshoot organizations that the time was nearing for the construction of a Ram temple in Ayodhya. ''I am not making this statement out of any excitement, but to have a Ram mandir in Ayodhya is a matter of pride for Hindus,'' he said. Taking the ‘time is nigh’ pitch forward, Vishwesha Theertha of the Paryaya Sri Pejavar Mutt in Udupi said the Ram temple would be built before 2019, the year of the next general election. “No one should have an inkling of doubt about this,” Vishwesha Theertha said. The conference of right wing religious leaders also took the opportunity to question preferential treatment given to minorities. ''The very idea of providing facilities only to minorities is wrong and should be done away with,'' asserted Veshwesha Theertha, and argued for a Uniform Civil Code in the country. Bhagwat himself advocated rightwing momentum on issues like cow slaughter and religious conversions, saying the “the time is ripe for it”. ''There is a conducive atmosphere in the nation to safeguard the nation against all evil practices right now,'' he said.